is an annual one-day festival celebrated by Hindu women in North India, the Indian state of Gujarat and parts of Pakistan in which married women fast from sunrise to moonrise for the safety and longevity of their husbands. The fast is observed in the states of Uttarakhand, Uttar Pradesh, Himachal Pradesh, Jammu and Kashmir, Haryana, Indian Punjab, Rajasthan, Chhattisgarh, Madhya Pradesh and Gujarat. 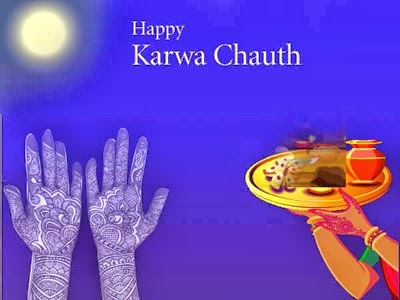 The festival falls on the fourth day after the full moon, in the Hindu lunisolar calendar month of Kartik. Sometimes, unmarried women observe the fast for their fiancés or desired husbands. 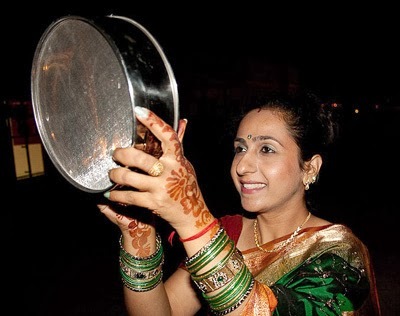 Karwa is another word for pot (a small earthen pot of water) and chauth means 'fourth' in Hindi (a reference to the fact that the festival falls on the fourth day of the dark-fortnight, or krishna paksh, of the month of Kartik). It is uncertain how the festival originated and how it came to be celebrated only in the northwestern part of the Indian subcontinent. One hypothesis is that military campaigns and long-distance travel usually resumed around the time of the festival, as the area dried and numerous rivers of the region (see Sapta Sindhu) subsided from the effects of the monsoon. Women observed the fast to pray for the safety of their husbands at this time as they ventured away from home. The festival coincides with the wheat-sowing time (i.e., the beginning of the Rabi crop cycle). Big earthen pots in which wheat is stored are sometimes called karwas, so the fast may have begun as a prayer for a good harvest in this predominantly wheat-eating region. is an auspicious day and is mainly celebrated by newly weds in India, specially in Punjab, Haryana, Rajsthan, western UP, although it is observed all over India at the present time. On this day, the fourth day after the Sarad Purnima, the newly weds get dressed up gorgeously, sometimes in the bridal dresses, apply mehendi on their hands and fast from the sunrise to the moonrise in the evening. They offer prayers to Lord Shiva, his consort goddess Parvati and son Lord Ganesh for the long lives of their husbands. When the moon rises they watch the moon through a sieve, then their husbands and in turn the husbands offer water to break their fasts and give gifts. The newly weds observe this in their mothers homes and the mothers-in-law bring them new dresses, ornaments and gifts. At present women of all ages and unwed girls for their fiancés celebrate this function, too.